Cannon Velvet Plush Throw Just $9.99! Down From $20! You are here: Home / Great Deals / Cannon Velvet Plush Throw Just $9.99! Down From $20! Sears has this Cannon Velvet Plush Throw on sale for just $9.99 (Reg. $20)! Wrap yourself in the sumptuous comfort of this velvet plush throw from Cannon. 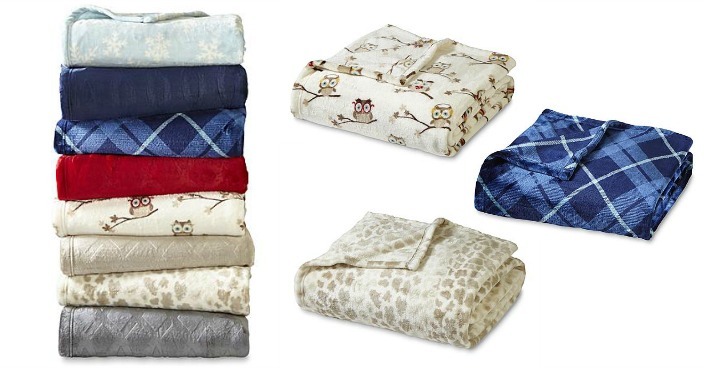 Velvety soft fleece construction gives these throws superior softness wash after wash, and the lightweight design lets you travel from couch to bed with ease. The embossed swirl design adds subtle texture and modern style.